11 Comments	This post may contain affiliate links. 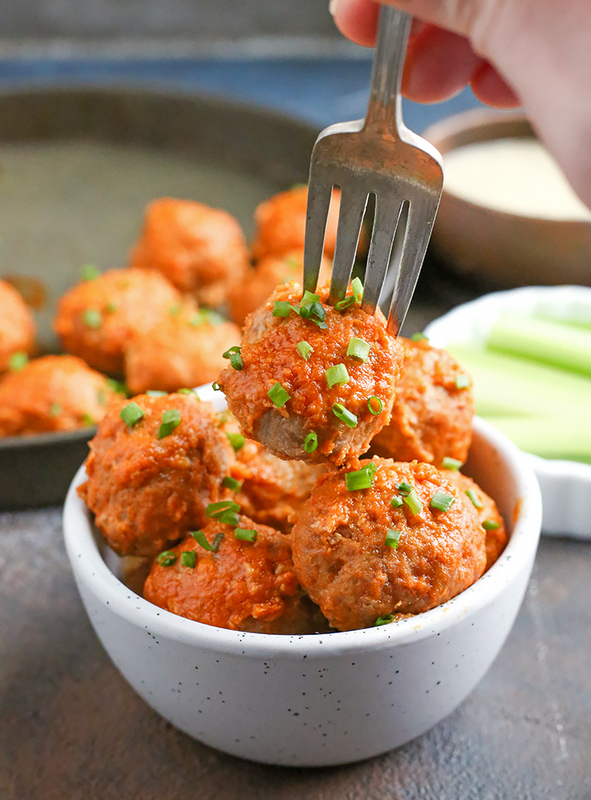 These Paleo Whole30 Buffalo Meatballs with Ranch are everything you love about a wing, packed into a tasty boneless bite. They are easy and also gluten free and dairy free. Pictures updated 12/18 and recipe slightly adjusted to make them even better. My husband loves wings. He could probably eat them every day and be happy. But wings aren’t exactly make ahead food. They’re really good right out of the oven when the skin is crispy, but leftover they’re kind of soggy. That’s what is great about these meatballs. They have all the flavor of a wing and they are just as good the next day. He especially loves them dipped in ranch. He’s pretty happy that these fit into his Whole30. His exact words were, “It was an explosion of flavor in my mouth!” I’d say that’s a pretty good reaction. 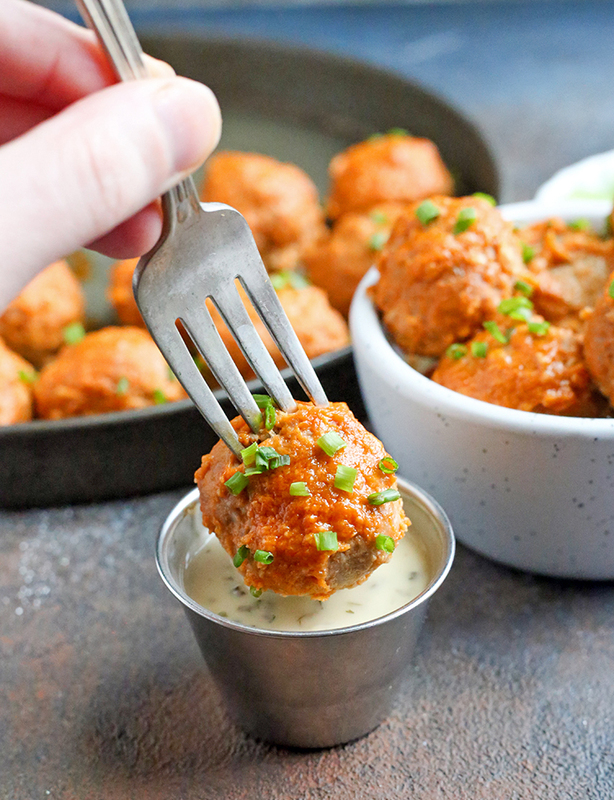 Melt the ghee and buffalo sauce together in a pan while the meatballs are in the oven. After 10 minutes put the meatballs in the sauce, in batches, and completely coat them in the sauce. 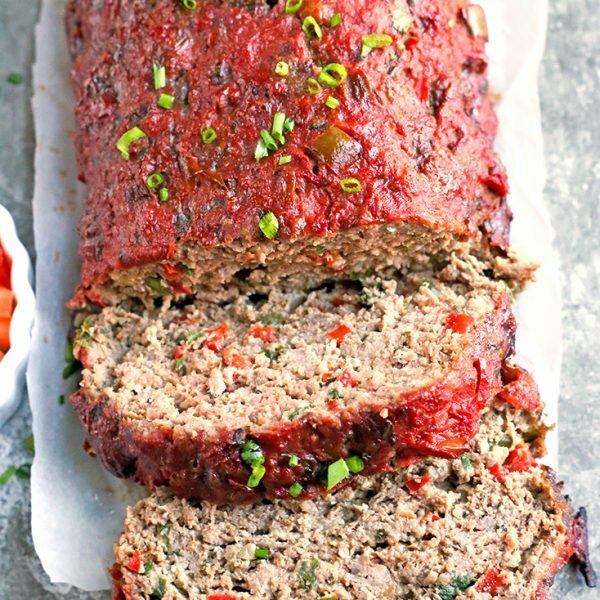 Repeat this once more after another 10 minutes in the oven. 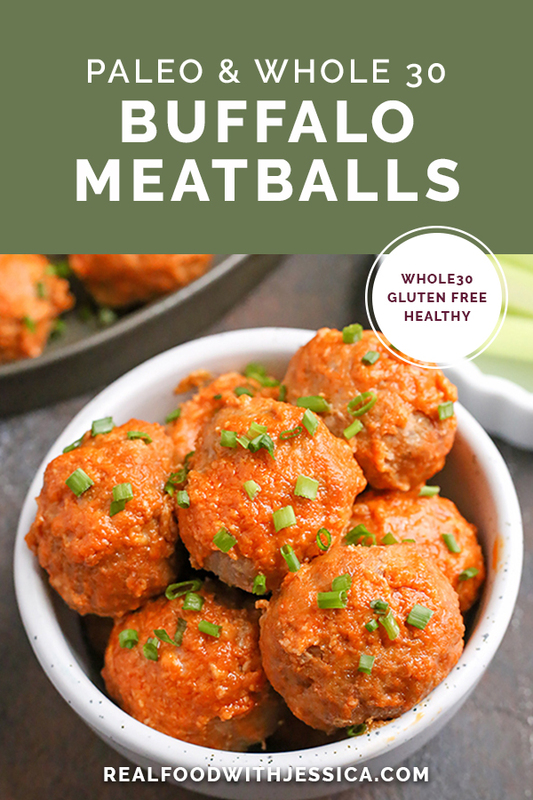 This ensures the meatballs are saturated in sauce and full of buffalo flavor. 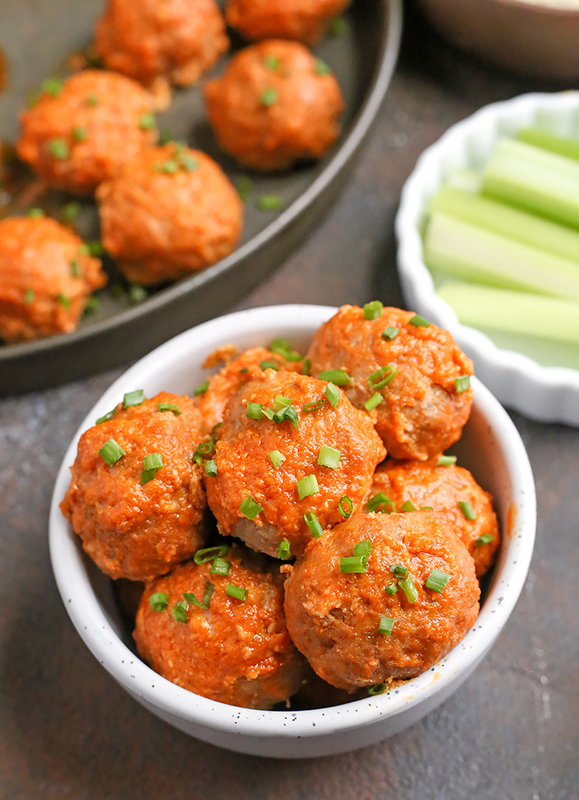 I’ll be making these even when he’s done with the Whole30. They come together quick and they disappear quick. I’ve included the Paleo Ranch recipe below. Don’t miss it! That’s what makes these meatballs complete. It uses this mayo recipe as a base. 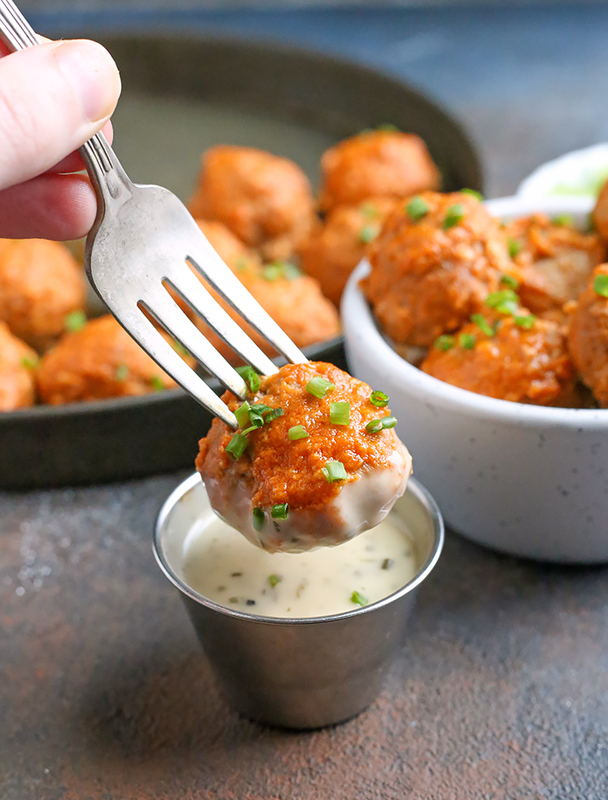 These buffalo meatballs with ranch are everything you love about a wing, packed into a tasty boneless bite. 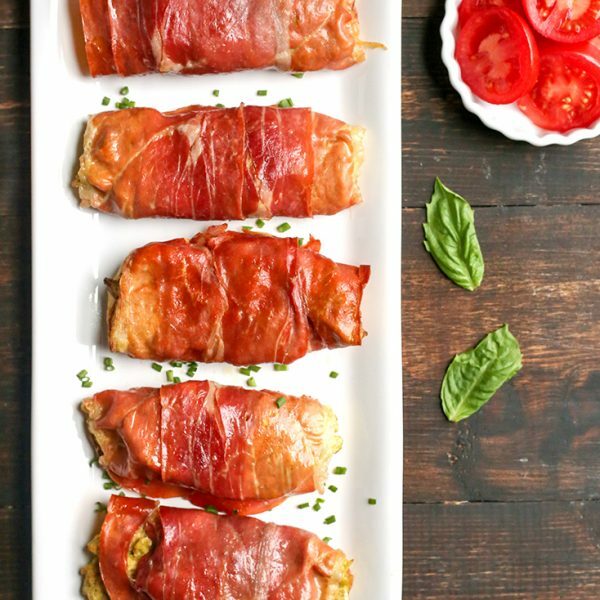 The fact that they're Paleo and Whole30 is just a bonus. Preheat oven to 375° and line a sheet tray with foil. Rub the foil with coconut oil to make it non-stick. 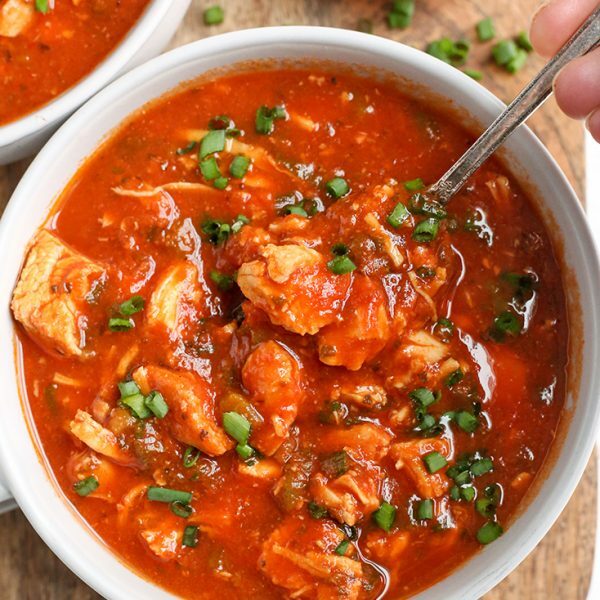 In a large bowl, mix the turkey, almond flour, egg, buffalo sauce, garlic powder, onion powder, and salt together. Do not overmix. Roll into 1 inch balls and place on the sheet tray. You should get 20 out of the mix. 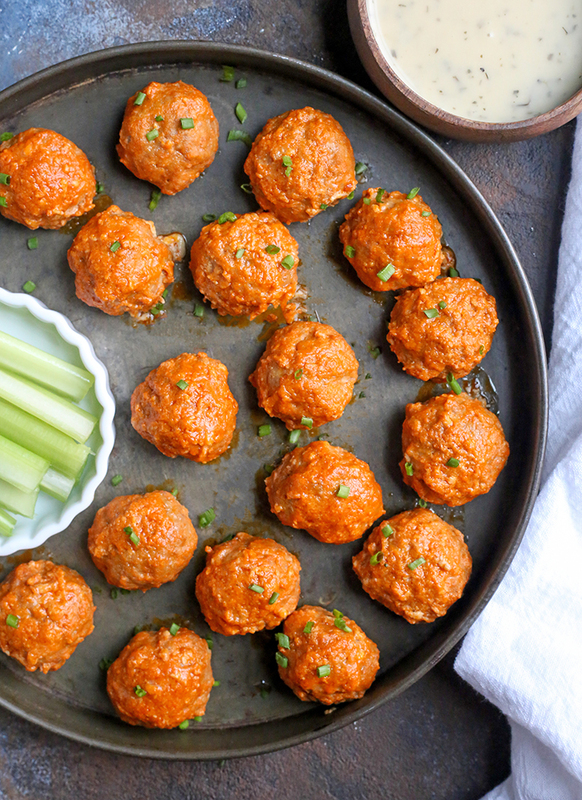 While they are baking, combine ghee and buffalo sauce in a frying pan. Warm over medium heat. After 10 minutes, place the meatballs in the sauce and roll around to fully coat. This will have to be done in batches because they won't all fit at once. Place back on sheet tray and bake for another 5 minutes. After those 10 minutes, repeat step 6. Place back in oven for 5-8 more minutes. Make ranch while they finish baking. Serve warm with ranch. Thanks Mark! You would love them! These are genius! A wing-like sub for my family who lives on leftovers for lunch. This is perfect. And what kid or wannabe kid doesn’t like meatballs! 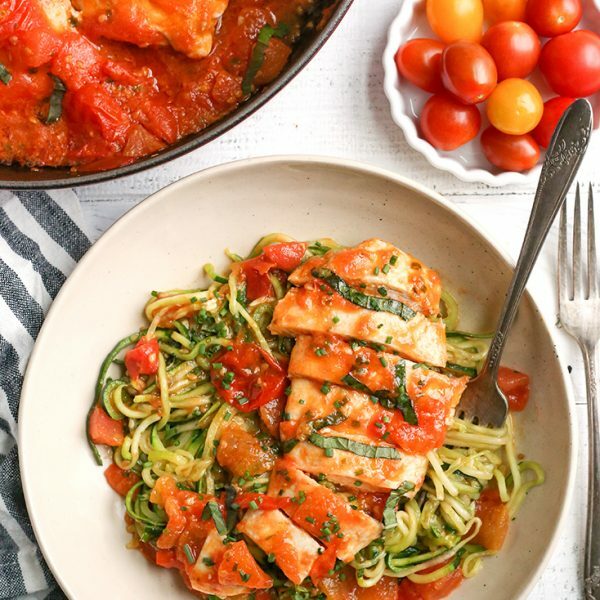 Stumbled on to your site from getting lost in Pintrest and love it! These look fantastic! I would have thought Frank’s wouldn’t be whole30 approved. Thanks, April! I know- I was happily surprised when I read the label. Sweet mercy these were good. My 2-year-old pronounced them “Dood! 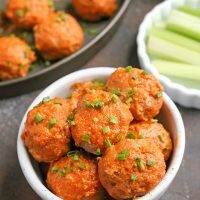 !” These are a keeper whether I’m on whole30 or not. I did use ground pork bc that is what I had and half the almond flour bc that is what I had. These look incredible. I have found coconut cream hard to find, and when I *do* find it, it’s 8oz. Is there an alternative method possible? Must I buy several cans of coconut milk and combine whatever cream is on top? Thank you for your insights and the recipe! Hi Christina- thanks for trying it! You can buy full fat coconut milk and the top part is the cream, but really you can just use the full fat coconut milk and the ranch will be a little thinner. No big deal! I hope that helps and saves you some money!